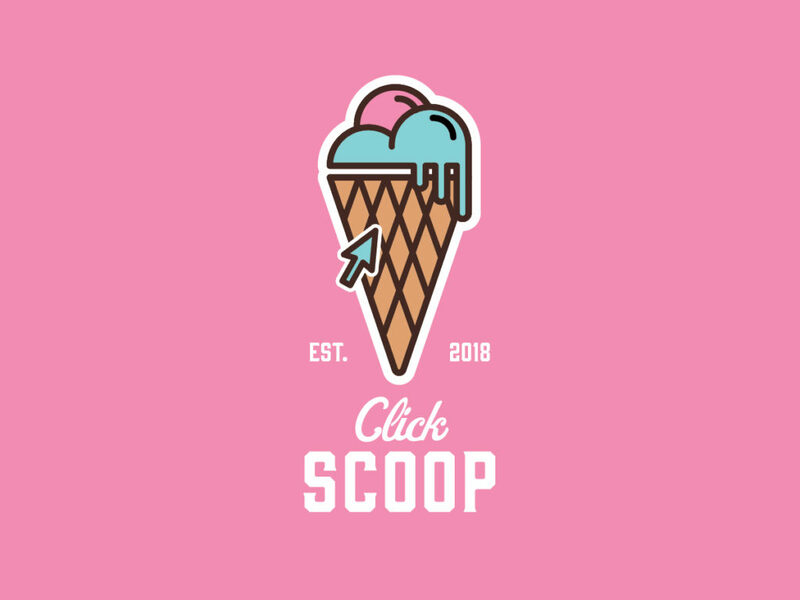 Click Scoop is a fictional online delivery service for small batch ice cream. 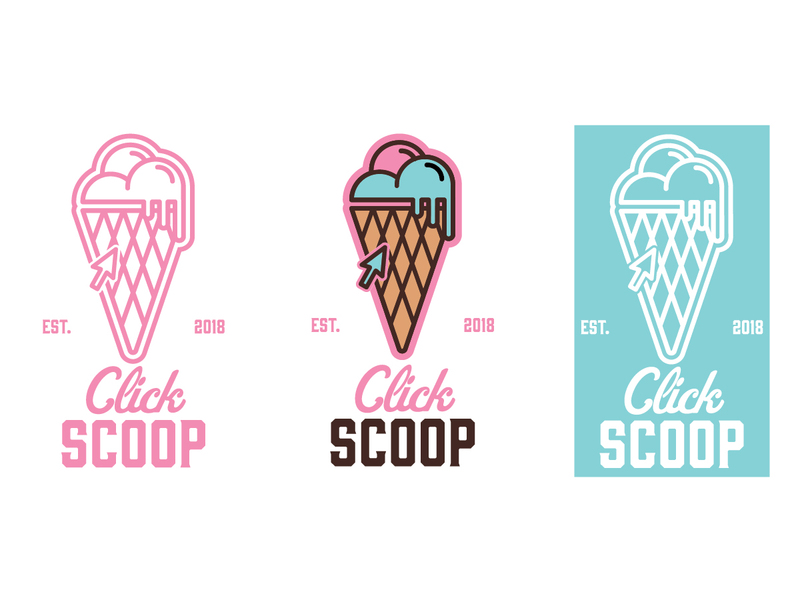 The logo is bright modern and fun with a color palette that references classic ice cream shops of the past. 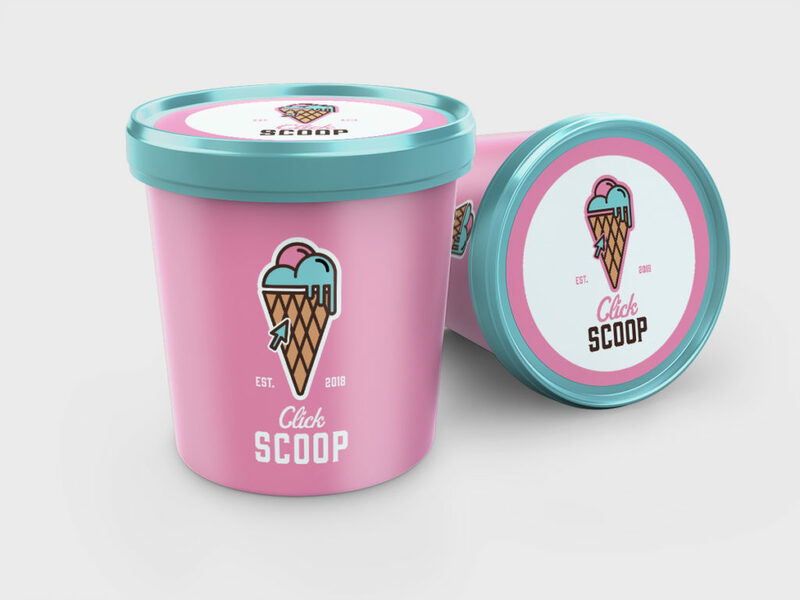 The branding is very flexible and can be used in a number of applications.